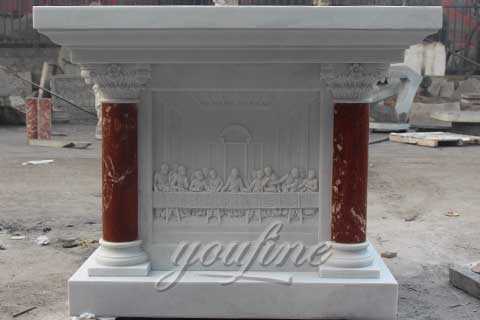 This luxury marble church altar is made of pure white natural marble and brown marble, LWH 23.6inches*35.4 inches*51inches. 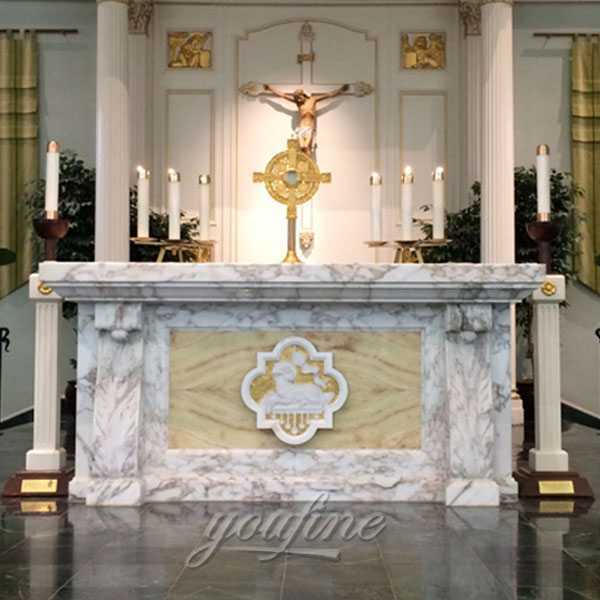 The elements of cross in the front of the altar and the small cross at the edge of the altar add more sense of holiness for this altar table. 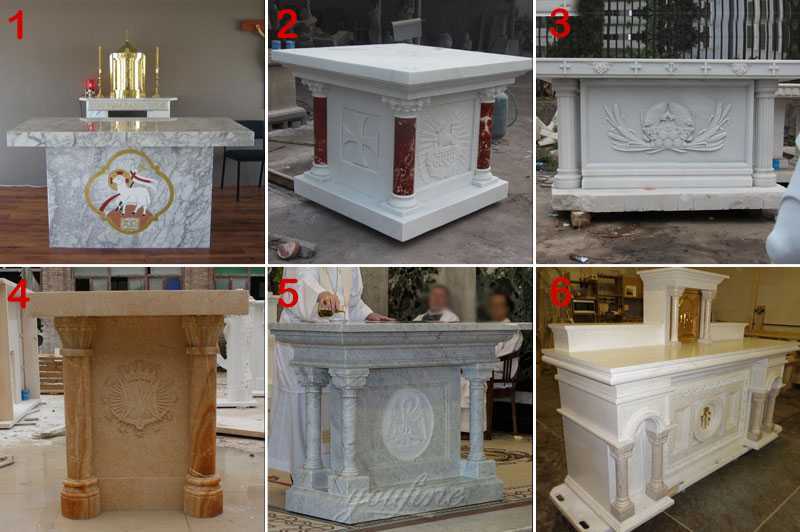 Durable marble is perfect show the elegant and chaste of the church, put one at the interior church or garden. You will be proud of your choice! 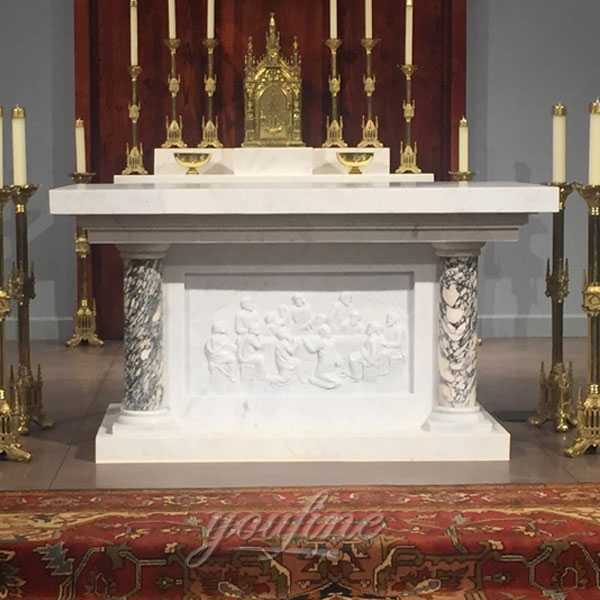 This Luxury Marble Church Altar Table is made of pure white natural marble and brown marble, LWH 23.6 inches*35.4 inches*51 inches. 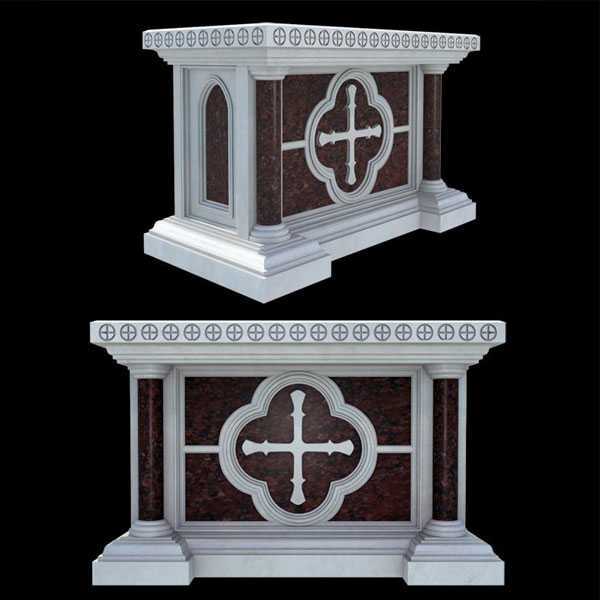 The elements of cross in the front of the altar and the small cross at the edge of the altar add more sense of holiness for this altar table. 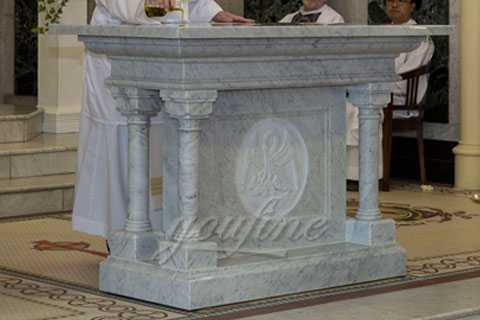 Durable marble is perfect show the elegant and chaste of the church, put one at the interior church or garden. You will be proud of your choice! 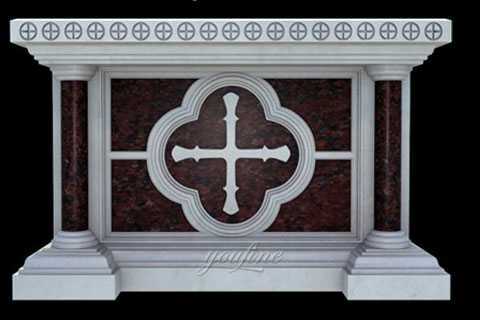 >> Outer in 3CM standard wooden crate (most of others only have 2CM thick), inner in plastic or foam. 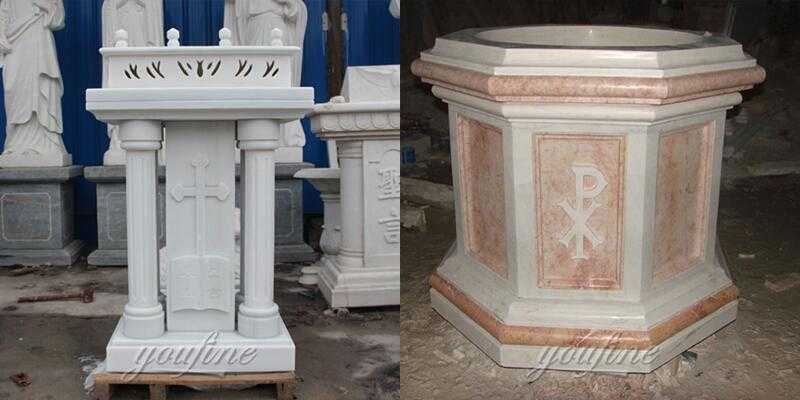 Mainly ship to Xingang in Tianjin, Dalian, Qingdao, Shanghai, Xiamen Or Customized. > The shipping freight depends on the total weight and the cube of the shipped products. We quote the freight directly from the shipping company. 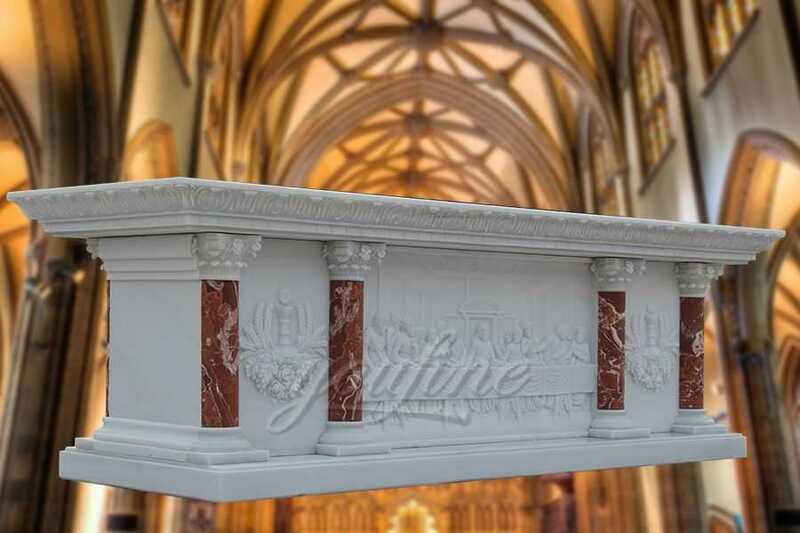 Money-back guarantee:All of our stone statues are undercovered by money-back guarantee policies.For any reason you are dissatisfied with a statue or other sculptures from us, simply apply to refund within 30 days and we will very gladly refund your money. 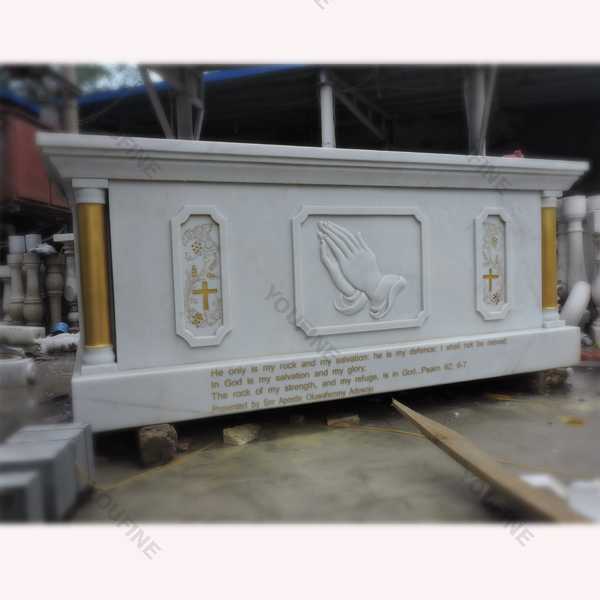 So any requirement about Luxury Marble Church Altar Table or want to custom made other catholic sculpture in marble,please contact with us right NOW !